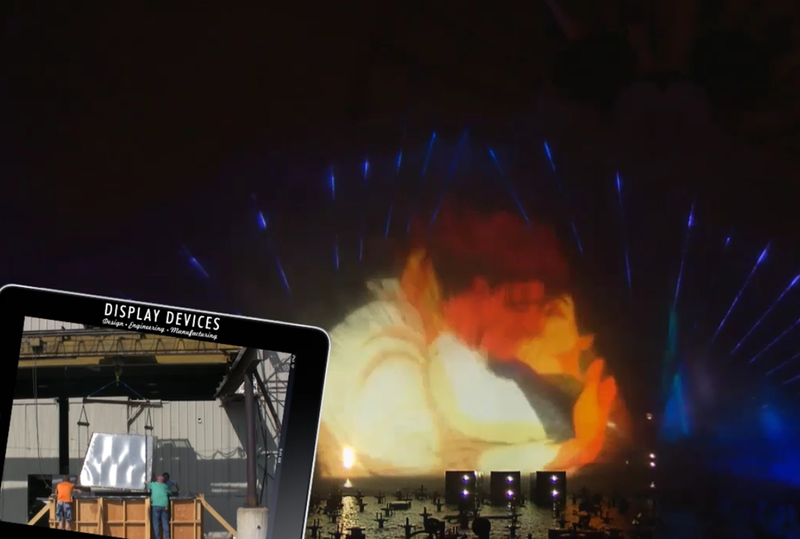 Display Devices designed, engineered, and built projector enclosures for Disney World of Color. The enclosures allow projectors to display the World of Color show on a curtain of water in the lagoon at Disney California Adventure. Some of the enclosures rise up out of the lagoon for the show, while others are stationary in the lagoon. Click here to visit the Disney California Adventure World of Color. Watch a cool video of the show ! Three projector enclosures in lower right of image, shown displaying their images on a curtain of water. Testing stationary enclosure shown in inset. 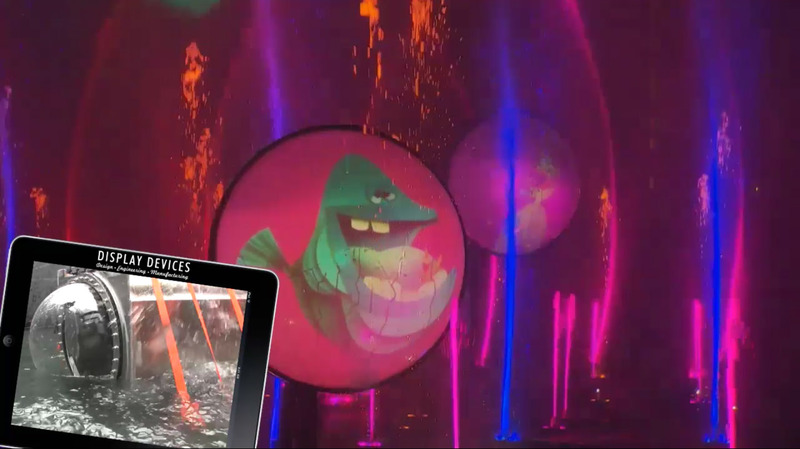 Image of the World of Color show being projected on a curtain of water. 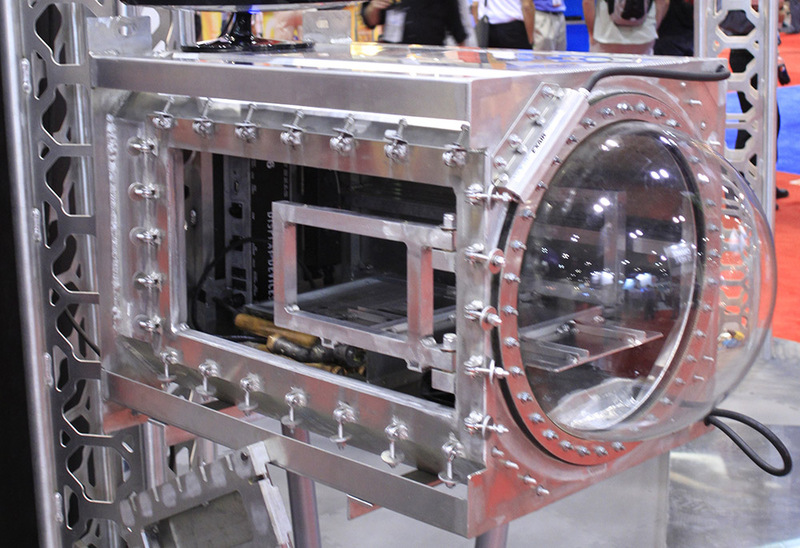 Underwater enclosure shown in inset. Another image of the show projector on a curtain of water, with under water projector enclosure in the inset.